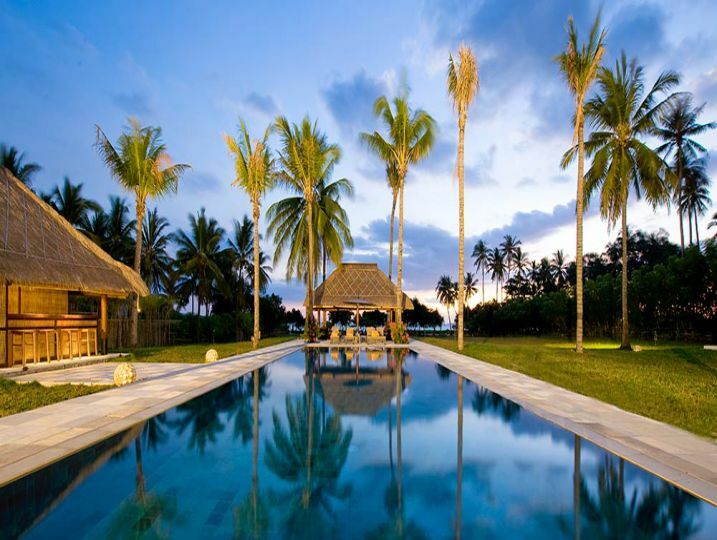 A dream holiday awaits at this luxury six-bedroomed villa set on a white sand beach overlooking the glistening sea of the Lombok Straits. 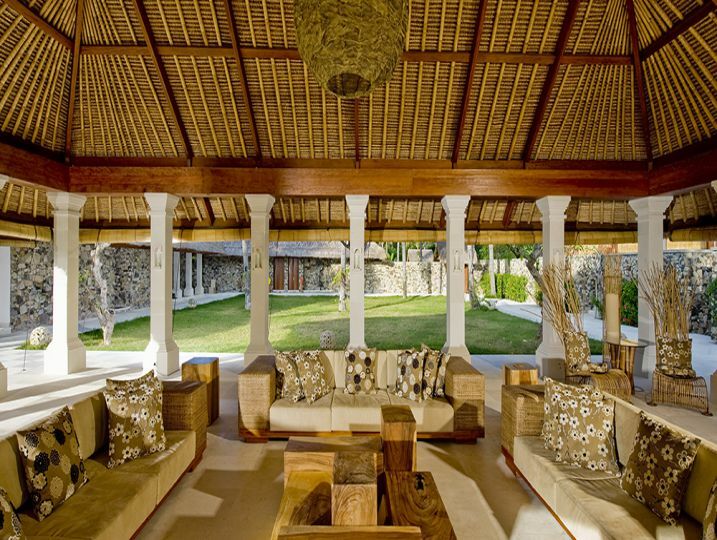 Translating as sea breeze in Bahasa Indonesia, Villa Sepoi Sepoi offers absolute beach frontage, with six acres of tropical gardens ensuring a secluded and private retreat on the beautiful island of Lombok. 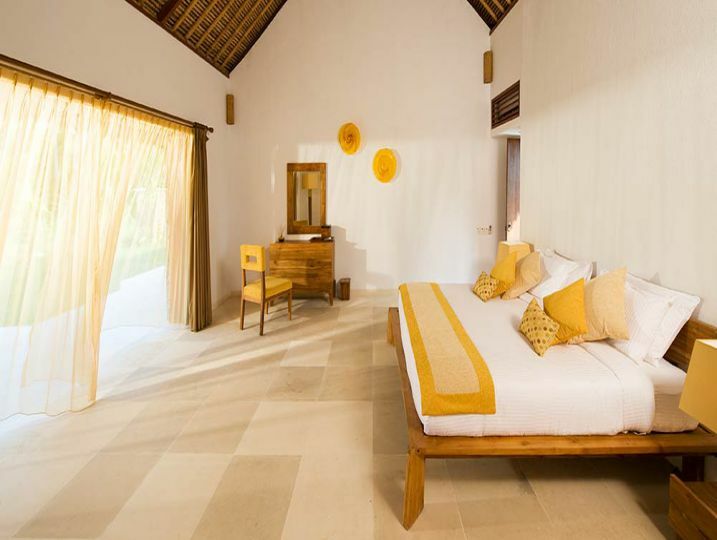 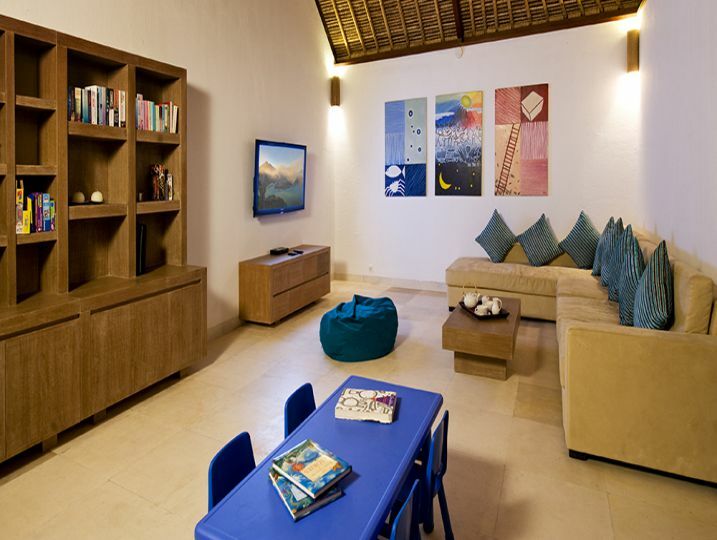 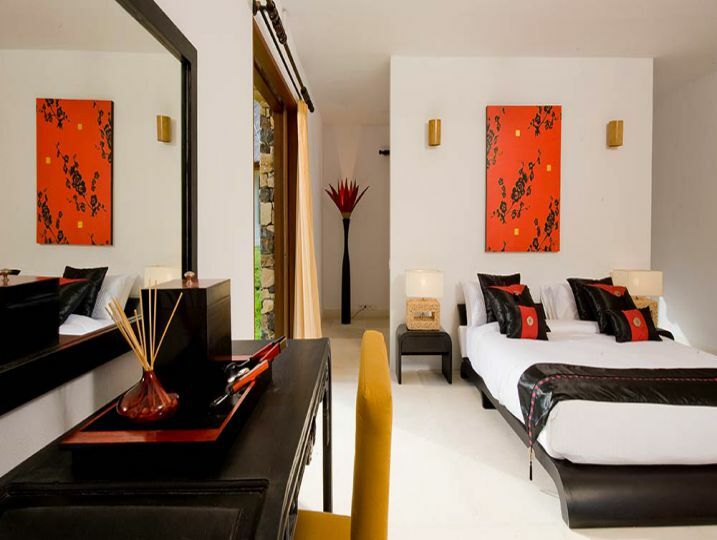 Designed as a family home, there is something for everyone at Sepoi Sepoi, from a safe environment for kids to play, to the stunning 18-hole Sire Beach Golf Club right next door, and a plethora of diving and snorkeling opportunities on the nearby Gili islands. 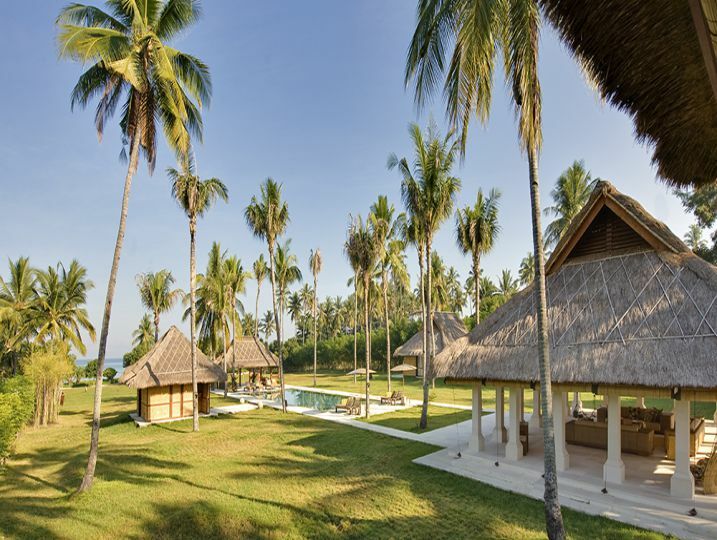 The villa is clustered around a central courtyard, with a sitting room opening out onto an infinity pool and the beach beyond. 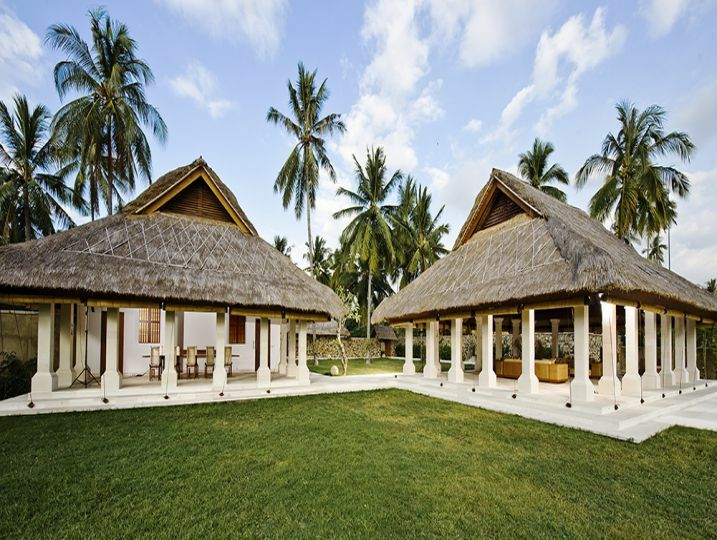 Buildings are of a traditional Indonesian style of architecture and include six large themed bedrooms which comfortably sleep a group of friends, or family groups. 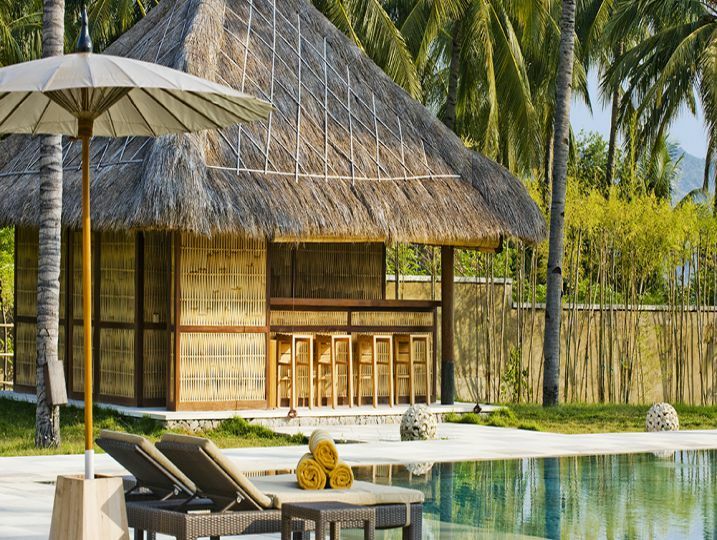 Kids will love the selection of toys and games, as well as the villa’s private orchard – an enchanting ‘secret garden’ at the side of the property. 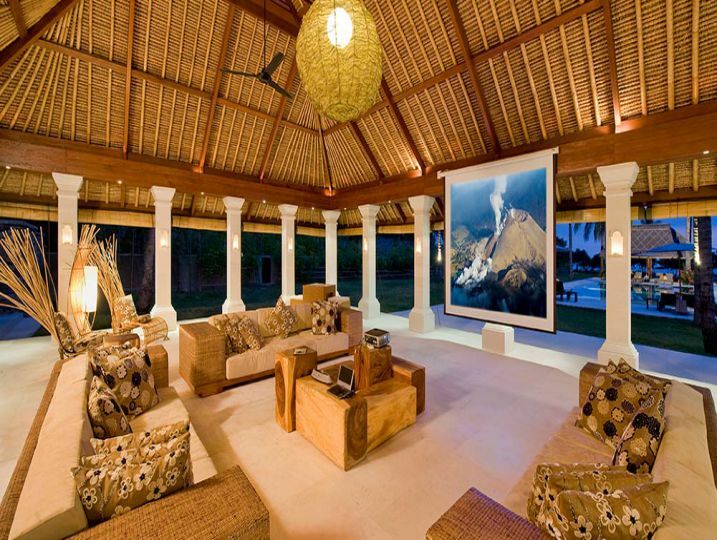 The main living area is housed in an open-sided pavilion with lush views and an outdoor cinema-style projector and screen, while the dining room has similarly evocative views and a 14-seater teak table. 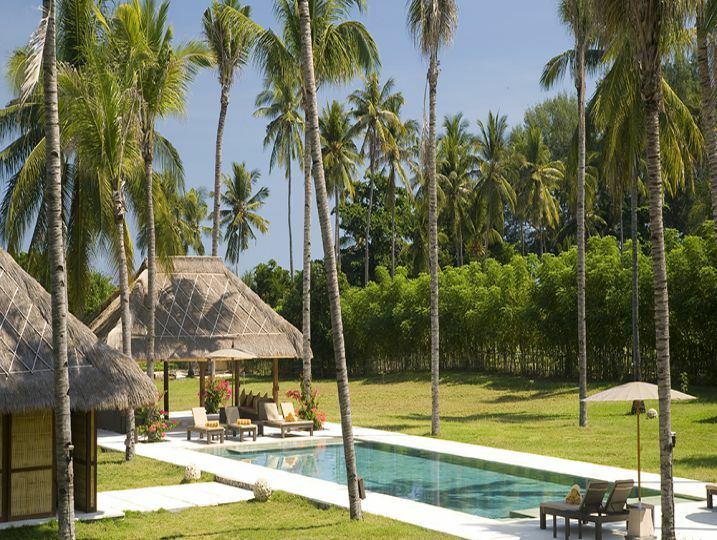 Lawns, coconut palms and deck chairs encircle the large fresh water swimming pool, while the crystal clear shallows of Penta Sirai Bay are ideal for swimming (children should always be accompanied.) 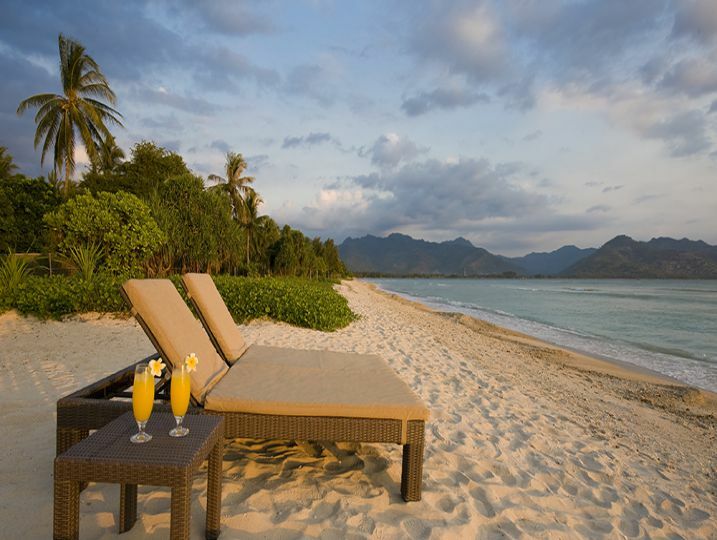 The lengthy stretch of white sandy beach is also perfect for sunrise jogs and long sunset walks. 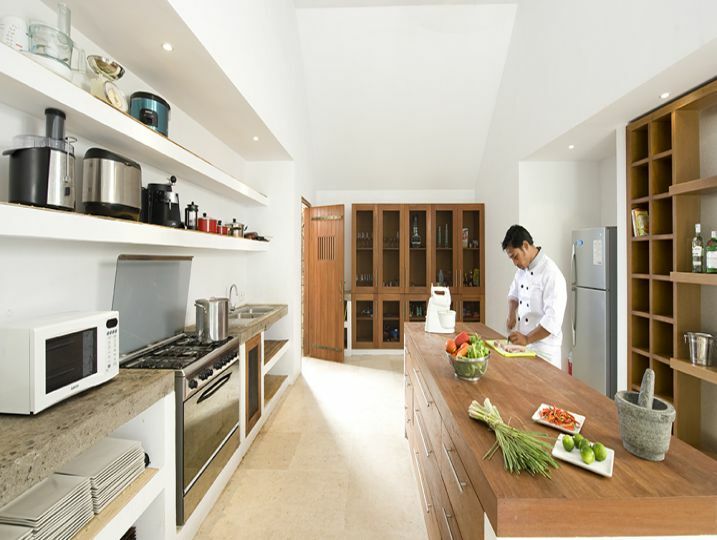 Staff are efficient and discreet, and the chef is adept at preparing gourmet meals from a suggestion menu (on guest account.) 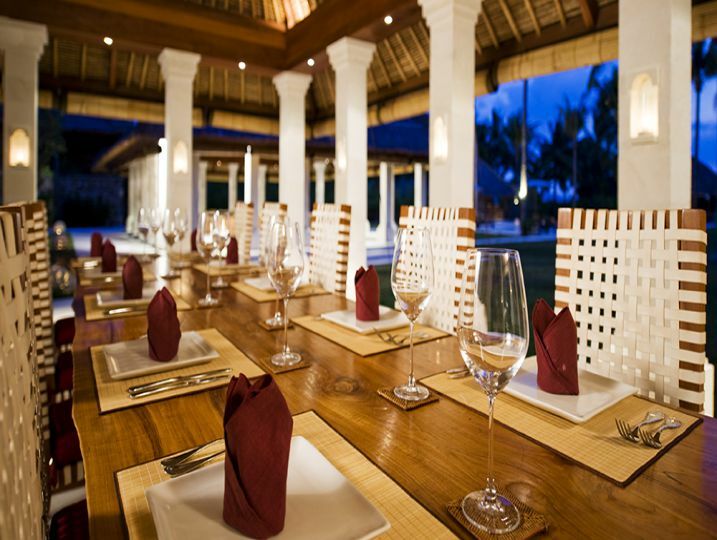 Make sure to try the local seafood! 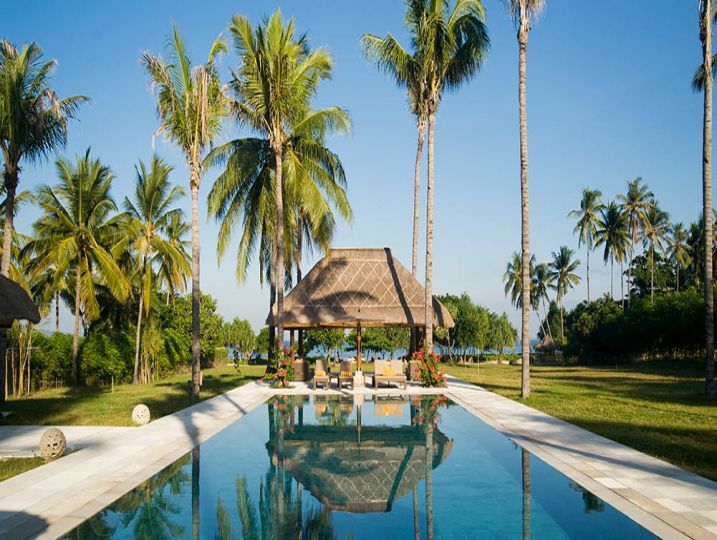 The villa manager will be happy to organise boat excursions to the Gilis, trips to nearby Sasak villages, or treks up the volcanic slopes of Mount Rinjani. 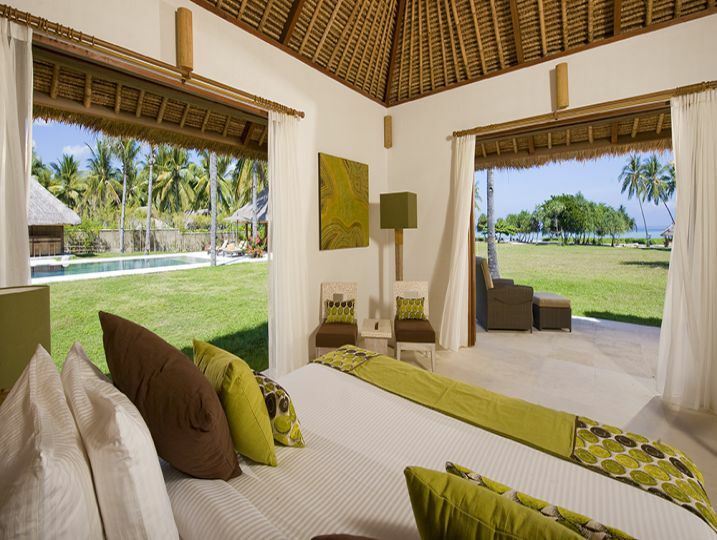 Villa Sepoi Sepoi is available for selected dates.